Make sure to read this guide completely before starting. It requires you to open the tablet, however you don't need to solder or use any advanced tools. This is only for Fire HD 8, 8th generation, also known as karnak or KFKAWI. It's now confirmed to work on both 16GB and 32GB models. You will lose all data on the tablet, make a backup of important data before you start. If you've enabled encryption, it's probably a good idea to disable it before you proceed with the guide. - a Linux installation. Since I had to rush it, this guide is only for Linux. Once I get a chance to test it on Windows I'll update the guide. Install python3, PySerial, adb and fastboot. For Debian/Ubuntu something like this should work "sudo apt install python3 python3-serial android-tools-adb android-tools-fastboot". Extract amonet.tar.gz, open a terminal and navigate to it. You might need to run the scripts on your PC under sudo if you're getting permission errors. 1. Use a pry tool to remove the back shell from the tablet. Start at the bottom and work your way up. There are no cables between the back shell and the motherboard. 2. On the left side of the board there are 4 test points labeled DAT0, RST, CMD, CLK. We only care about the bottom one, CLK. 3. Plug in one end of the microusb cable, either to the PC or to the tablet, whatever's more convenient. 4. On your PC, run `./bootrom-step.sh`. It should print "Waiting for the bootrom". 6. Plug in the other end of the microusb cable. This *must* be the device you see. If you see a "preloader" device instead, you didn't hold the paperclip strong enough. Unplug it, shut down your Fire (pull out USB cord and wait; if it doesn't shut down, you might have to disconnect the battery) and try again starting at step 4. 8. The script you ran in step 4 should now tell you to remove the short. Remove the paperclip and press Enter as instructed. If the script freezes at some point, you will have to restart it. Terminate the script, unplug USB, and try again starting at step 4. If after unplugging USB cable the device doesn't shut down, you might have to disconnect the battery. You can keep it disconnected until the script succeeds, but once it's done you must reconnect it before booting to fastboot. 9. You should see a success message: "Reboot to unlocked fastboot". Only proceed if you see the message. 10. Once the device boots to fastboot (check with "fastboot devices". You should see amazon logo on the screen. ), you can run "./fastboot-step.sh". Then, flip the device over so that you can see the display. 11. At this point the device should boot into recovery, however it's possible that the screen will be off by default. Just press the power button twice and the screen should turn on. 16. Hold down the power button, press Restart and hold volume down to boot into recovery. 19. Once finalize.zip is flashed, press "Reboot System"
20. Done. The device should now boot into a rooted 6.3.0.0 firmware. You should have Magisk manager installed, and root working. You will be able to boot into recovery by holding volume down. 21. At this point it should be safe to connect to wifi. If everything works okay, assemble your device. Your device is now unlocked. You can flash a custom boot image, system image, etc. However, if you ever brick the device so bad the recovery does not boot, you will have to repeat these steps starting from the first one. Read below for what you should not do. Only ever flash boot images from TWRP. Since nothing but TWRP is aware of the exploit, if you try to flash a boot image from Android, it won't have the exploit integrated into it! This includes Magisk as well, so do NOT install or uninstall it from Magisk Manager (However, installing modules should be fine; although it depends on the specific module). Due to how the exploit works, it takes over the first 0x400 bytes of boot.img/recovery.img. When flashing zips from the recovery, it will transparently remove and then reinstall the exploit when needed. So long as you flash zips from the recovery, you should treat the boot image normally. However, this means that you cannot use any other apps (e.g. FlashFire) to flash the boot or recovery partitions. - Run "fastboot reboot recovery"
- If you need to disconnect the battery, use a pair of tweezers to grab the wires and gently pull towards yourself. You can do bootrom-step.sh either with or without the battery connected, however fastboot-step.sh should be done with the battery connected. - If your device is bricked (e.g. from a downgrade), just follow the steps as-is. Thanks to: @hwmod @firetablethelp for testing different versions of the payload. When I finish the writeup for this vulnerability, I'll update this post with a URL to the writeup. You sir, are a marvelous wizard leet haxor 👍. Thanks for this. Will this ever lead to any software solution for root on this tablet. Parden my noob questions? You sir, are a marvelous wizard leet haxor . Thanks for this. Will this ever lead to any software solution for root on this tablet. Parden my noob questions? The only reason you have to open the tablet is to put the bootrom into download mode. If somebody figures out another way to do that, then yes it can be done completely in software. One way is to brick the tablet by erasing the preloader completely (both copies). However, this would require root (temporarily), and is more dangerous. Ultimately, I figured that the difficulty level here is about as much as replacing a battery (even lower) so I haven't investigated this further. Thank you for explaining that further. It's nice to have this capability in our toolbox. Wow! @xyz` you are a genius! This exploit can be applied to fire 7 7th gen? This is only for Fire HD 8, 8th generation, also known as karnak or KFKAWI. I've also only tested this on the 16GB version, though the 32GB one should work the same. 0. Shut your device down and disconnect it from USB! Also, disconnect all other Android devices you might have connected from your PC. 10. Once the device boots to fastboot (check with "fastboot devices"), you can run "./fastboot-step.sh". Then, flip the device over so that you can see the display. 17. Hold down the power button, press Restart and hold volume down to boot into recovery. 18. In the recovery, go to "Install", navigate to "/sdcard" and flash Magisk-v18.0.zip, finalize.zip, in that order. 15. Press "Reboot System" once the latest zip, finalize.zip, is installed. 16. Done. The device should now boot into a rooted 6.3.0.0 firmware. You should have Magisk manager installed, and root working. You will be able to boot into recovery by holding volume down. 17. At this point it should be safe to connect to wifi. If everything works okay, assemble your device. LMFAO I can't ****ing believe this. I'm almost certain this will work on the HD 10 too. You found it before me. Absolutely brilliant. You've just proved many weeks and or months of my hard research that I've posted in more than a few threads between the fire 7 forums and here. You just happened to be a lot quicker at this and probably smarter. ACM I discovered a few weeks or months ago on the HD 10. There is a build file that has many ways to set ACM props. doing this made everything light up on my PC...new drivers were installed and being used including the preloader drivers. I set my test HD 10 to persist ACM since then, convinced it was one of the possible keys to the puzzle. If you've read anything I've done in the past several weeks and months you may have been the only one who truly believed anything I had been saying. I don't know who you are or where you came from but I can only thank you. You've made my day, my week and my year. At least now I can say I'm not crazy, hallucinating or 'don't know what I'm doing or talking about.' it will take me a few days to get started, but I'll get right to testing my test HD 10 in the next few days or so. Edit: I was convinced it had to do with fos_flags too, which I believe is another way to unlock. The vulnerability is present on every mediatek device, so yeah. It will not work as-is because of different addresses (for the crypto device and offsets for LK). 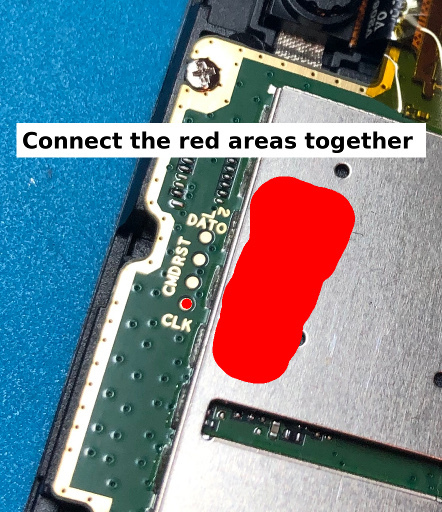 Additionally, on Fire 7 7th gen the eMMC test point is hidden behind the shield that you need to desolder, so you will probably want to find a different way to enter the bootrom download mode. This is very promising could you please elaborate, what exactly needs to be modified to port this to other MTK-hardware. I have a fire 5th gen here and I can access brom-mode by pressing left mute button while pluging in. Does the hash in load_payload.py (4dd12bdf0ec7d26c482490b3482a1b1f) need to be modified? I do have the kernel-sources for the device and am willing to investigate correct addressing etc. Also since this is a boot-rom exploit wouldn't it allow flashing a hacked preloader + lk which just ignore boot-signatures so we can just run a standard twrp? If it's a different soc, you will have to dump the bootrom and find the offset where range check data is stored (in my case, 0x102868). You might have to modify the 4dd12bdf0ec7d26c482490b3482a1b1f part as well, it's basically calculated as a xor of expected data and actual data it's written. Then, you'll also need to update the pointer I'm overwriting (0x1028A8 in my case, called ptr_send in brom-payload). Again, if executing under preloader it's gonna be completely different way to exploit it. Once all this is done, you should be able to load binary payloads and execute them in bootrom mode. You'll also need to edit brom-payload and set up proper pointers to send_dword/recv_dword/etc, these can be found by reversing your bootrom dump. At this point it should be possible to get emmc read/write. Finally, if you want a persistent unlock (and not just the ability to modify /system) you'll need to port lk exploit as well. So you'll have to figure if your lk is vulnerable to the same bug, port microloader, inject_microloader.py and lk-payload to use the proper offsets. It's a lot of work. I'll hopefully finish my writeup in the next weeks and post a link to it, that should be easier to understand since I'll explain the whole process from start to finish. You're right about being able to load a custom preloader/lk, however the bootrom exploit requires a PC connection and a bunch of USB commands (so in a way, it's "tethered"). The actual unlock exploit isn't using any bootrom bugs, but rather the lk bug, since that one works without a PC. In fact, the bootrom exploit is only used to flash stuff to eMMC (but, of course you could probably do more fun stuff with it) in my chain. I'm pretty sure I'm in boot-rom, my preloader actually has direct read/write using read_mmc.py but that has been fixed in newer preloaders, so I would rather go the boot-rom route. Have you tried if pressing left (or both) volume buttons while pluging in brings you to brom-mode as well, like it does on my device? I'll attach a serial to check for the output. Any hint on how i would dump the bootrom? Also could you upload your boot-rom so I can compare once i got mine? looking forward to your writeup. I thought it might be possible to flash a preloader that exploits the same vulnerability, but from your explanation I assume that won't be possible. For this device it would already be great to be able to overwrite RPMB to downgrade, since there was an LK that allowed booting into unsigned TWRP.